Meet Our 2017 FinTech Finalists! 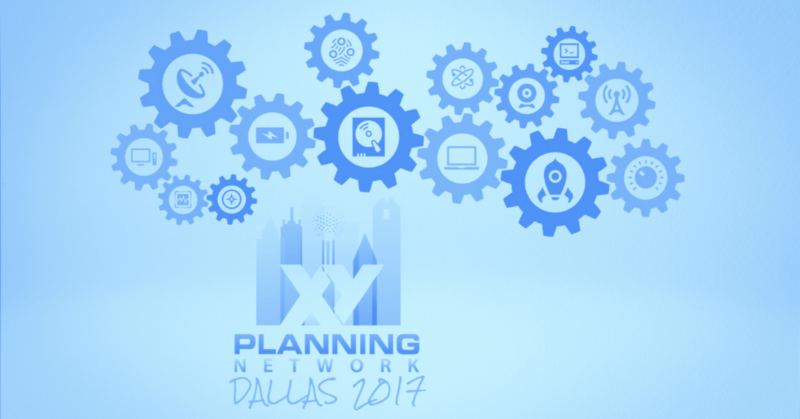 Seven finalists have been selected to compete in XY Planning Network's annual FinTech Competition, which is scheduled to take place on Wednesday, August 30, 2017 during XYPN's annual conference, #XYPN17 in Dallas, Texas. To encourage innovation of business-to-business solutions in the financial planning industry, XYPN invites conference attendees to experience an exciting preview of technology on the horizon. One deserving champion will receive a press release by PR agency FiComm along with facilitated media introductions. A handful of promotional opportunies await the winner, including features on Bill Winterberg's FPPad.com and Michael Kitces's Kitces.com. The champ will also reach a large audience of financial planners on #XYPNRadio and on XYPlanningNetwork.com. The eventual winner will likely see a healthy boost to their start-up efforts. Last year's champ, SnappyKraken saw an immediate impact from their big win. 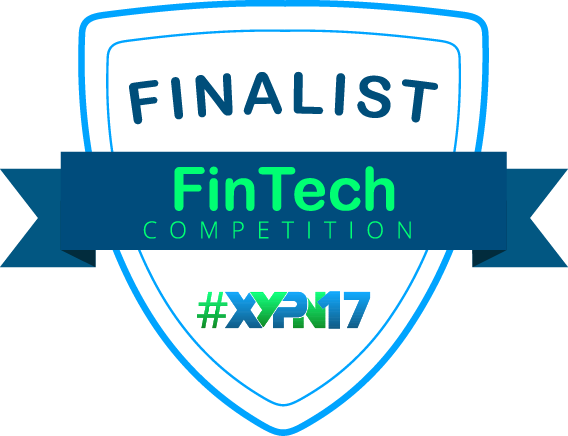 "Entering the XYPN FinTech startup competition was incredible for our business," said Robert Sofia of SnappyKraken, "Within the first three months of winning, we went from zero to over $700,000 in sales, landed two large enterprise accounts, and attracted significant investor interest." Student loans have become and will continue to be an integral part of the personal finances of current and future generations of college graduates. Even though the number one financial concern of Millennials today is student debt, the traditional financial services industry has been slow to adapt to this new reality. Few independent advisors offer advice about loan repayment, while much larger firms may prohibit student loan consultations altogether. The end result is that most student loan borrowers are left alone in their attempts to navigate complex repayment options. They are unable to fully assess the potentially negative effect of their choices on personal and financial goals. Complicating matters further, financial professionals who attempt to provide assistance often lack the full depth of knowledge and tools necessary to provide comprehensive advice. The CSLA Tech Repayment Tracker is the solution to this problem. It helps the financial advisor and client by reducing the complexity of the decision process by clarifying optimal repayment choices that account for tax, financial, and personal planning goals. The product allows the creation of client illustrations identifying various repayment options as well as the effect of each on tax, retirement and business planning. And perhaps one of the most important benefits is how it enables advisors to establish and maintain long-term client relationships from graduation to retirement! The product was designed by financial advisors for financial advisors. It is transforming the financial services industry by helping advisors reduce the long-term consequences of student loans. The DataPoints platform helps advisors strengthen client relationships using behavioral science. Using leading-edge technology in conjunction with 40-plus years of data regarding wealth accumulation compiled by Dr. Thomas J. Stanley and documented in best-selling books including The Millionaire Next Door, the technology provides a powerful and practical tool that can immediately benefit advisors in their quest to be more than a portfolio manager for their clients. The platform offers advisors a library of tools to assess client psychology and behaviors in various critical areas--the first step in providing holistic advice. The platform gives advisors powerful analytics to strategically advise their clients in improving behaviors proven to aid in the building of wealth, and provides clients with personalized developmental reports to track progress. Assessment and reporting capabilities allow advisors to actively engage clients in the wealth-building process and create demonstrable value as a holistic advisor. DataPoints offers comprehensive tools in three areas: (1) Building Wealth (behaviors critical to building wealth over time); (2) Financial Perspectives (general money perspectives); and (3) Investor Profile (risk-related behaviors). It also provides a lead-generation tool that can be embedded in the advisor’s website and social media outlets: short assessments that cover topics including spending, career fit, and wealth potential, designed to engage potential clients. Dashboard reporting allows for data analysis at an individual client level and across the entire client base. Advisors can create customized coaching plans to track client progress over time and shape critical behaviors that have been scientifically correlated with financial success. Loan Buddy is a brand new financial technology platform with a focus on providing solutions for advisors who want to be pioneers in student loan planning. Loan Buddy is the fastest way to analyze a client’s student loans. Simply drop the NSLDS file into our modern software, and you will have all you need to generate a detailed analysis of your client's student loan debt. With a few clicks, you can create a beautiful PDF with your company’s branded logo on it that you can easily add to a client’s financial plan. One Click Processing - MyStudentData file processing has never been easier. Upload or paste a file and it will be instantly turned into live data that can be customized to suit your clients needs. Reports - View in summary format or drill down for detailed information. Customize the appearance of reports and data tables for easy clipping into a financial plan perfect for your client’s financial plans. Downloads - Download to Excel for additional reporting as needed. The data is organized in a way that makes it easy to use and understand, saving hours compared to processing the NSLDS file. Ultimately, Loan Buddy was designed to save time for financial planners. It takes an antiquated process and creates a new solution that helps solve a painful aspect for independent financial planners. RobustWealth is a digital wealth management platform built by-&-for investment advisors, and engineered to satisfy their unique needs. Our platform integrates previously modular investment and tech-optimizing features into one seamless suite, which advisors leverage to enhance their practice on their clients’ behalf. The easy-to-use technology is delivered in a completely private-labeled environment, customized to the advisor’s brand. Portfolio solutions can quickly be made bespoke for the client. Automation On rebalances portfolios via RobustWealth’s tax-&-volatility cognizant trading algorithms. Investment models can be the advisor’s, ours, mutual fund partners’ &/or individualized goal-&-risk based frameworks. Our suite of features include: advisor & client dashboards, bank transfers, customizable client fee schedules, document vaults, paperless client onboard and performance reporting. RobustWealth is headquartered in Lambertville, New Jersey, and has offices in Denver and the San Francisco Bay Area. The RobustWealth team is comprised of a fun group of developers, investment professionals and client service specialists. We think it is not too ambitious to aspire to be the best-in-class, low-cost-leading, next-level automated wealth platform for advisors. ROL Advisor solves the problem of how financial advisors can add value in a world where technology and competition is driving down the value of investment management to zero. The Discovery Process Tools in ROL Advisor gather and store the client’s story about their perspectives on money, their potential in life, and their progress through transitions. Ultimately, it helps the client get the best life possible with the money they have. For advisors, our software enhances the discovery process in a way that deepens relationships with their clients and helps the advisor have a greater understanding of their client’s journey. Once the client has gone through this collaborative discovery process with their advisor, the advisor will use the data and insights gathered from ROL Advisor to create a life-centered path for financial life planning that is personally tailored to each individual client and their specific financial and life transitions. The end result is the software augments the advisor’s ability to have a human to human conversation with their clients in a way that no algorithm or AI can obliterate. It empowers the advisor to deliver value in a way that is uniquely human, mathematically measurable, and truly valuable. It creates a new category of software called Discovery Process Tools. And it facilitates the industry’s shift from a focus on ROI to a focus on ROL (Return on Life). For decades, financial planners have used simple personality profiling tools to help clients select the right risk directive for their investments. The biggest failure of these so-called risk tolerance assessments is that they only measure the client’s willingness to accept risk and never measure their actual ability to take risk. Using patent-pending technology, Tolerisk revolutionizes risk tolerance assessments by incorporating cash-flows to separately measure a client’s willingness and ability to take risk for a truly 2-dimensional assessment. A client’s Tolerisk Score, which is the numerator in a simple stocks/bonds ratio, facilitates gradual portfolio adjustments as the client’s circumstances evolve. It even incorporates mortality probabilities to evaluate the client’s likelihood of outliving their money. Fiduciaries have a duty of care, which requires they incorporate readily available information (including cash-flows) into the advice provided to a client. Without better technology, advisors are left making manual “back-of-the-envelope” adjustments to their personality profiles, which aren’t objective, repeatable, or documentable. Advisors using Tolerisk report that clients exhibit more confidence in the advice received, driving up retention and referrals. Prospects are impressed and more often become clients. Advisors please their compliance officer and regulators by demonstrating greater fiduciary care and a culture of compliance having incorporated cash-flows into their advice process. Vestwell is a digital retirement platform for financial advisors and their clients that combines the best parts of automated investing with a human touch. Removing the friction points of confusion, cost and compliance overhead that come with traditional retirement plans, Vestwell allows for seamless plan design, automated onboarding, and low-cost investment strategies, making it easier for financial advisors and employers to offer a retirement plan. With flexible, bundled or unbundled investment and fiduciary services, Vestwell enables financial advisors to deliver white-gloved retirement solutions to their plan sponsor clients while promoting their brand. Modern dashboards that support the ability to drill down to the participant level, Vestwell enables financial advisors to deliver holistic advice and discover hidden opportunities to increase assets under management. Vestwell becomes an extension of the financial advisor’s services, acting in everyone’s best interests while scaling through technology and allowing financial advisors to focus on clients. YOU ARE MORE READY THAN YOU THINK! : What Would Arlene Say? How Should You Define Success? What Would Arlene Say?